This one really sucked me in. 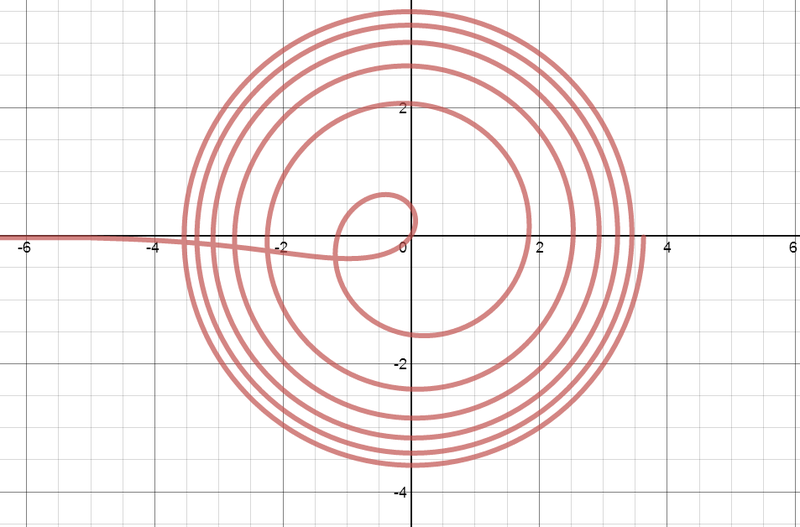 https://www.desmos.com/calculator/5etfymnp6f Nice one, Dan! Fantastic! I used polar and it ended up being related to your solution but much shorter 🙂 . I found r = 1/log(theta) to be much the same thing except it continues to infinity.